The model 5 Fp is a flamenco guitar "negra" ideal for advanced students and teachers. 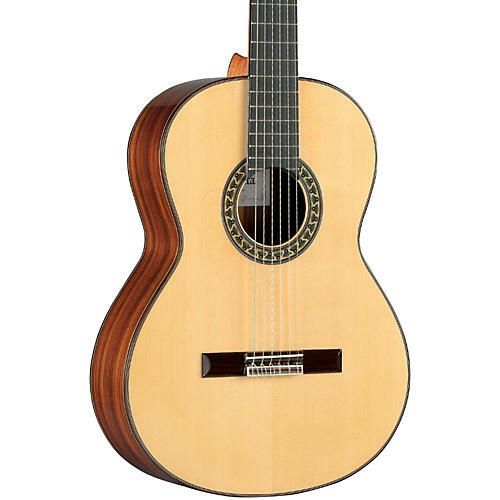 For those flamenco players who are seeking more volume and projection, the Alhambra 5 Fp is a good alternative at an affordable price. It's also suitable for classical players who can benefit from the lower string action of a flamenco instrument. The Indian rosewood back and sides amplify the sound of the 5 Fp's solid German spruce thanks to the greater density of this wood.